Today is International Day of Forests and thus a day to honour the professional foresters who look after them, says FPAC’s Derek Nighbor, while SFI and the FAO speak to the importance of forest eduction. Elsewhere: the NY Times looks back at Britians’ World War II Lumberjills; The Hill says US climate policy must protect forests and communities—not industry; and the Narwhal doubles-down on NRDC’s tree-to-toilet pipeline. In other news: US-China trade tensions cloud construction outlook; BC looks to diversify beyond the US and China; and more on Resolute’s logging rights and Fort France’s mill prospects. Finally, SFI conservation and community grants reach 130 groups across Canada and the US. At 7 a.m. on any given day in 1942, as R.A.F. pilots sped back from skirmishes over the English Channel …a truck would swing down a British country lane to pick up a crew of women and ferry them deep into the forest. The women piling into the truck …were an elite part of England’s civilian defense efforts: the Women’s Timber Corps, playfully called “lumberjills.” …The lumberjills were part of the Women’s Land Army, which numbered some 80,000 at the height of World War II. …The organization was called back into action in the summer of 1939, roughly three months before Britain declared war against Germany. …Over the course of the war, the number of women working in British industry shot up by roughly a third, from 5.5 million to 7.35 million. B.C.’s latest trade mission to Asia appears to heed the advice of Asia-Pacific economic observers to diversify beyond the United States and China, its two largest trade partners. Government officials have admitted that China will be skipped in the province’s trade mission to Japan and South Korea in part because of Ottawa’s strained relationship with Beijing. …But they added that the pull factor from Japan… played just as big a role. …Many trade observers have said B.C. needs to diversify trade away from the U.S. and China because President Donald Trump’s protectionist administration and China’s hardline stance on Canadian trade following Meng’s arrest. …However, observers also warned that none of the markets can fully replace China if relations deteriorate further. …B.C. cancelled the Chinese leg of a lumber-industry trade mission to Asia earlier this year following Meng’s arrest. Construction is underway on the City of Quesnel’s new Forestry Innovation Centre, and the City’s new Forestry Initiatives Program is up and running. The City announced Wednesday (March 20) that the Forestry Initiatives Program (FIP), which began in January, is officially underway and moving forward. The program, which is operated by Forestry Initiatives Manager Erin Robinson and Forestry Initiatives Co-ordinator Taddea Kunkel, was created to address the multiple challenges facing our community at this time — mainly protecting our communities from wildfire, rehabilitating the land after wildfire, and finding ways of innovating the forest products manufacturing sector, according to a press release from the City. …The FIP is made possible through funding provided by the City of Quesnel, BC Rural Dividend, Community Resiliency Investment Program, Forestry Enhancement Society of British Columbia, and Cariboo Strong. Three members of the Tsawout First Nation continue to protest a logging operation on Saturna Island, which has highlighted legal grey areas when it comes to First Nation land use. Since the middle of last week, three First Nation members, supported by a fluctuating number of Saturna Island residents, have remained on site, peacefully blocking tree falling. They are angry at their chief and council’s decision to contract a lumber company to fell trees on a 33,477 cubic metres stretch of community land on Saturna Island Indian Reserve No. 7. …While the permits were issued legally, the opaque nature of how the Douglas treaties can be interpreted and legal issues about First Nations’ members’ rights to their land mean the unhappy community members are questioning how a council decision, made by a limited number of people often with family ties, can have such a large impact on their traditional way of life. A family owned business in Castlegar is investing $35 million in a new engineered wood manufacturing plant that will add 50 new jobs, but which won’t need any more timber than it already consumes at its existing sawmill and manufacturing plant. …“They’re very high-end operational type jobs,” Kalesnikoff said. With a long-term decline in the annual allowable cut in B.C., both the NDP and previous Liberal governments have been trying to promote more value-added wood manufacturing in order to maximize the use of B.C. timber. The new plant definitely fits the value-added category because it doesn’t actually require any more timber than the company currently consumes at its existing sawmill and manufacturing plant, where it makes a product called “lamstock” for other engineered wood product manufacturers like Structurlam. VANCOUVER, BC — Western Forest Products announced that it has published its first sustainability report, highlighting the Company’s governance, environmental and social practices and performance during 2018. The report is available at www.westernforest.com/responsibility. …Don Demens, President and Chief Executive Officer…“With this report, we are continuing the evolution of our sustainability disclosure: pledging to set goals, track progress and report on key performance measures.” The report outlines how Western is defining a higher standard in being accountable to our people, the environment, First Nations and the communities in which we operate, while producing the world’s most sustainable building material. Workers at Western Forest Products’ Cowichan Bay sawmill believe that an upcoming two-week shutdown is a bargaining tactic by the forest company. …WFP director of communications Babita Khunkhun said the decision is directly related to poor international market conditions and the persistently high cost of the logs processed at the mill.” …But Brian Butler, president of United Steel Workers’ Local 1-1937, which represents workers at the mill, said this is a contract year for the coastal forest industry, and he believes the shut down is meant to dampen efforts by the workers to get the best deal they can in the collective bargaining process. …WFP announced last week that it was also curtailing work at its APD sawmill in Port Alberni for a month… for the same reasons. 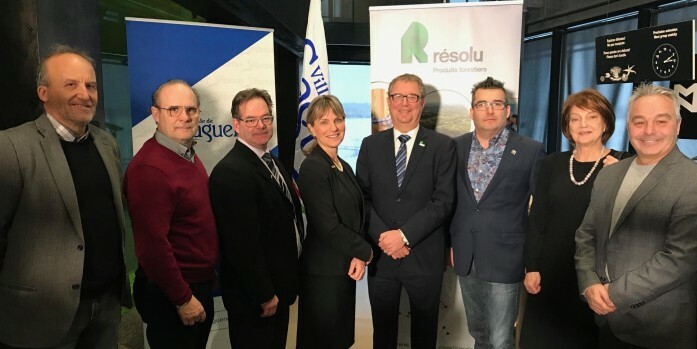 The residents of Saguenay (Quebec) will gain access to an area of stunning natural beauty when the site of Resolute’s former Port-Alfred mill is sold to the City of Saguenay for the symbolic amount of $1. The area, which measures approximately 0.3 square kilometers (0.1 square miles), features a dramatic landscape dominated by the awe-inspiring Saguenay Fjord (a narrow inlet bound by steep cliffs). The sale will be concluded later in 2019 and is contingent upon a promise from the City that the site will remain accessible to the public. “We are pleased the Port-Alfred site will be transformed into a public space for residents of La Baie and the Saguenay region to enjoy year round,” said Yves Laflamme, president and chief executive officer. With Resolute Forest Products saying it wants to decommission and redevelop its mill property in Fort Frances, Ont., an expert in environmental policy says the forestry giant could still keep its logging rights to the nearby Crossroute Forest even without a plant in the northwestern Ontario town. That comes as Resolute’s sustainable forestry licence for the Crossroute Forest is set to expire in 2022. 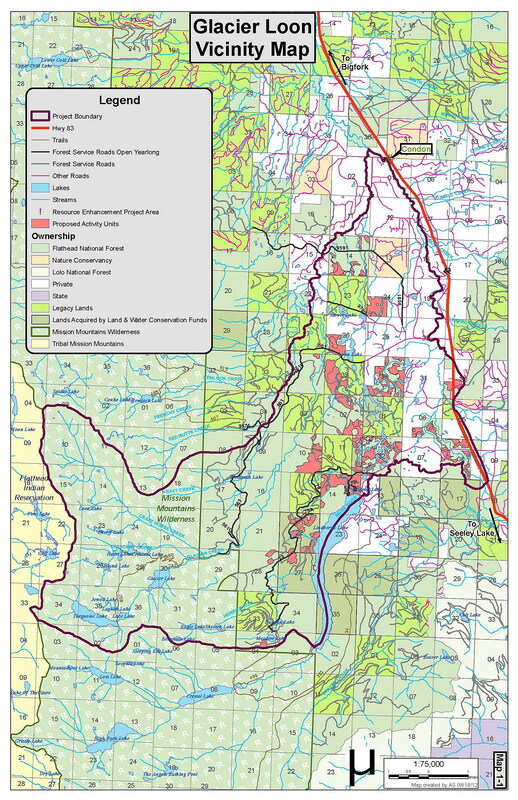 …Resolute’s current forestry licence for the Crossroute Forest states that the wood harvested is to be used for the “existing forest resource processing facility … located at Fort Frances, Ontario.” The mill closed in 2014. At least one previous potential deal for the property also fell through. But when the time comes for licence renewal, the company can argue that the wood is needed for its other operations in the northwest, said Warren Mabee, the director of the Queen’s University Institute for Energy and Environmental Policy. Resolute Forest Products is selling its closed Fort Frances mill to an undisclosed site redeveloper to demolish buildings on the property and repurpose it for other community uses. “We anticipate the sale will finalize in the next couple months,” said Resolute spokesman Seth Kursman. With negotiations for the former pulp and paper mill apparently broken off, Resolute maintains if someone wants to restore the property back to manufacturing status, they’ll have to take that up with the incoming site redeveloper. 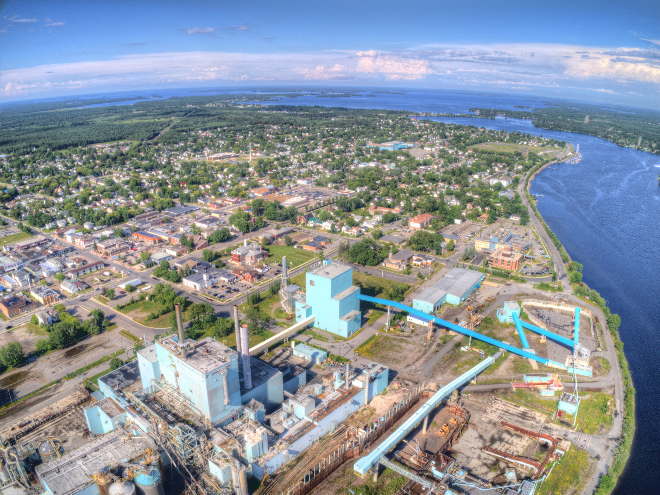 The Town of Fort Frances’ preferred choice to revitalize the mill is Rainy River Packaging (formerly known as Repap), a private consortium of investors, experienced in forestry, with some connections to the mill. …“My commitment has not changed. This has been a six-year process and I am not ready to give up the fight, and I know the community of Fort Frances is not ready to give up either,” said Cabinet Minister Greg Rickford. Some folks sure know how to start a conversation. Take, for example, a bill in the Oregon House of Representatives that could lock up more than 1 million acres of Oregon forestland. …Such a “conversation starter” is more like a punch in the nose for the state’s timber industry. Under the bill… the lawsuits would start flying. …It’s clear that this bill, like others making the rounds during the legislative session, is just another anti-logging, anti-jobs and anti-economy measure aimed at shutting down an industry that has been part of the state’s backbone. …Well-managed forests have long been a large part of Oregon’s history — and its future, if the legislature and environmentalists don’t shut it down. …“House Bill 2656 is an unnecessary and extreme solution in search of a problem,” said Mary Anne Cooper, VP Oregon Farm Bureau. KUCHING: Japan expects its imported volume of plywood from Malaysia to further decline this year because of increasing prices. Malaysia, the single largest plywood exporter to Japan, shipped about 1.06 million cu m to that country in 2018, which was a drop of 10.8 percent from 2017. But Japan has imported more plywood from Indonesia, an increase of 11.4 percent to 977,500 cu m in 2018 from 2017. Year-on-year, China recorded a 1.9 percent decline in its plywood exports to Japan at 642,000 cu m. “Indonesian supply was over 900,000 cu m after two years while Malaysian supply was less than 1,100,00 cu m. “Because of high export prices by supplying countries, total volume of imported plywood will drop this year,” according to Japan Lumber Report (JLR), a trade journal that monitors the Japanese market logs and wood products’ movement. When global real estate, development, and management firm Hines unveiled the $24.5 million T3 building in Minneapolis designed by local firm Michael Green Architecture (now owned by Katerra) in 2016, the seven-story, 220,000-square-foot structure became the tallest mass timber tower in the United States. Three years on, the company is again pushing the boundaries of timber construction, unveiling plans for T3 Bayside, a 10-story building in Toronto that will become North America’s tallest timber office building. (The record for the overall tallest timber structure on the continent is still held by the 18-story Brock Commons building in Vancouver.) With Danish architecture firm 3XN leading the design, T3 Bayside will be located along Lake Ontario as part of a new 2,000-acre residential and commercial community. EMERYVILLE, Calif.—SCS Global Services (SCS) is pleased to announce that it is now offering chain of custody certification to the Sustainable Forestry Initiative (SFI) Chain of Custody Standard. SFI is a leading, credible certification in North America for responsible forest products. This new service offering leverages SCS as a one-stop shop for the wood and paper industries, providing clients with increased efficiency for dual and triple chain of custody certification to the major three forest sustainability standards. SCS is also currently undergoing accreditation for, and will soon be offering certification services for SFI Forest Management and SFI Fiber Sourcing Standards. “SFI is pleased that SCS Global Services is now an accredited certification body that can deliver certification to the SFI Chain of Custody Standard. We appreciate SCS’ commitment to our efforts to promote the value of sustainably managed forests across the U.S. and Canada,” said Kathy Abusow, President and CEO of SFI. PORTLAND, Ore. — Timber workers from around the world are in Portland this week sharing their expertise. Wednesday was day two of the International Mass Timber Conference at the Oregon Convention Center. Mayor Ted Wheeler gave the keynote speech. He spoke about the importance of sustainable and green practices for the future of the timber industry. Wheeler mentioned how sustainable products, such as cross-laminated timber, become a competitive advantage for the industry. “It’s no longer just a matter that we build something, it’s how we build it and what we build it out of,” he said. “And we see now rural Oregon timber interests working hand in hand with urban green designers, architects, developers.” Members of the Oregon Forest Resources Institute said mass timber is a sustainable product that helps fulfill the demand for commercial construction. The wonderful world of superlatively tall wood buildings has just gained its newest title-holding champion in the form of Mjøstårnet (Mjøsa Tower), a handsome timber high-rise in the Norwegian town of Brumunddal topping out at 18 stories. …Rising 280 feet… It’s shorter than Big Ben, the Statue of Liberty and my grandmother’s old apartment building in downtown Seattle. 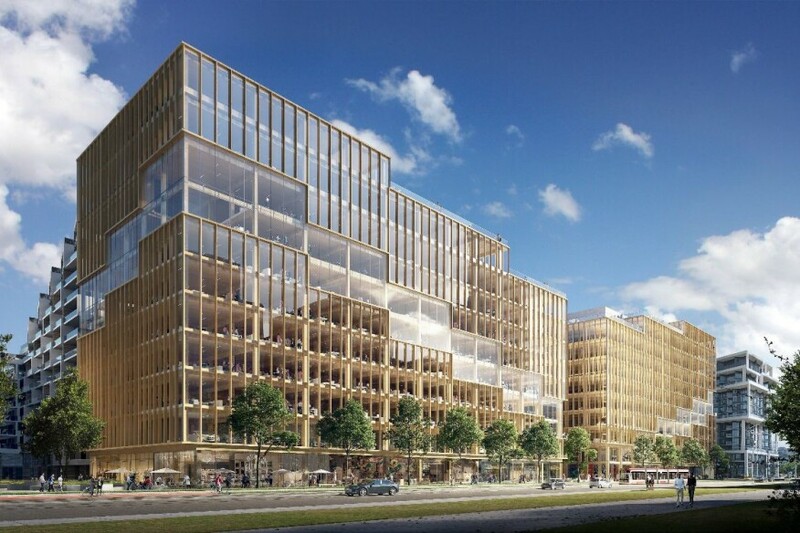 …No doubt that Mjøstårnet’s reign as world’s tallest timber building will be a fleeting one. …Currently, plans are underway to build bragging rights-worthy tall wood towers in cities ranging from Tokyo to Milwaukee. …A strict adherence to hyper-locally grown and processed timber helps to explain why such an ingeniously built and designed structure was constructed in a small town… and not in a major Norwegian city… where it might have greater exposure. The Canadian boreal forest is part of our country’s cultural identity. Often called the “Amazon of the North,” the boreal is the lungs of the northern hemisphere, helping store carbon and regulate the effects of climate change. This vast landscape is breeding ground for billions of North America’s songbirds and critical habitat for the threatened boreal woodland caribou. It is the traditional territory and holds cultural significance for many First Nations, whose treaty rights to hunt and fish are under threat. Despite this, our federal and provincial governments have failed for decades to protect the boreal from destruction. But today, on this International Day of Forests, Canadians are waking up to the fact that we desperately need to do more. 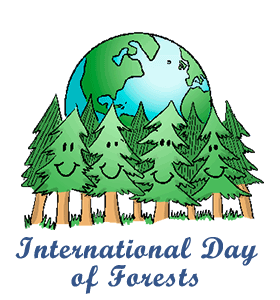 March 21 is International Day of Forests, as declared by the United Nations. It is a time to celebrate our forestry families and communities and Canada’s world-leading approach to how we manage our forests — one of our country’s most important and renewable resources. By any measure, Canada is a global leader when it comes to managing forests and the ecosystems, wildlife, and communities that depend on them. …Today, we salute Canada’s registered professional foresters who look after the country’s forests. …We can’t think of a day more appropriate than International Day of Forests to pay tribute to Peter deMarsh of Taymouth, NB, who was among those killed in the March 10 plane crash in Ethiopia. He was the long-time president of the Canadian Federation of Woodlot Owners and chairman of the International Family Forestry Alliance. Ottawa, ON and Washington, D.C. — The Sustainable Forestry Initiative Inc. (SFI) announced five conservation grants today that will build on SFI’s commitment to conservation and increase our knowledge about the conservation benefits associated with forests influenced by the SFI Forest Management Standard and SFI Fiber Sourcing Standard. These grants feature collaboration between SFI and a robust group of partners and experts from 52 organizations to advance SFI’s innovative conservation Impact Project in the United States and Canada. This year’s grants focus on research partnerships ranging from how bird habitats can serve as a metric for broader ecosystem health to the contributory value of certified forests to water and related ecosystem services. One project will build understanding of how to maintain biodiversity values in forests managed in accordance with traditional Indigenous values. Washington, D.C. and Ottawa, ON — The Sustainable Forestry Initiative Inc. (SFI) announced 15 community grants today featuring collaboration between 78 partner organizations. The grants will help communities across the United States and Canada grow their relationship with forests and improve their quality of life. Through these grants, SFI is bringing together a diverse range of organizations to engage and educate youth; train and educate current and future practitioners; support and promote Indigenous, Tribal and Heritage values; and support underserved communities through forestry. Grant project leaders include conservation organizations, environmental education providers, forest-sector non-profit organizations and community and Indigenous groups. The grants have a broad impact and involve organizations such as the North American Forest Partnership, Ohio State University, Michigan State University, and FPInnovations. …In my new role as Chief Education Officer at Sustainable Forestry Initiative, I’m particularly excited about the first day of spring this year. In 2012, the United Nations General Assembly declared March 21 as International Day of Forests. Each year, various events celebrate and raise awareness of the importance of all types of forests, including trees in cities (our urban forests), for the benefit of current and future generations. The the me for 2019 International Day of Forests is Forests and Education. The significance of this is near and dear to the heart of the Sustainable Forestry Initiative. As a sustainability organization focused on the future of forests, SFI works in many ways, across all sectors and with all kinds of stakeholders, to manage and support sustainable forests. KAMLOOPS — B.C.’s forests minister says the province is preparing for the wildfire season with some new strategies and people living near forested areas should also do their part by safeguarding property against potential blazes. Doug Donaldson says a $101-million budget, up from $64 million last year, will allow for a more comprehensive prescribed burning program and new technology, including night-vision goggles, to help with the early detection of fires that will be tried out this summer. He says firefighters will also have more access to computers and iPads in the field, and drone aircraft will assist with fire mapping and infrared scanning. Donaldson says a program established last September is expected to fund fuel-management work on Crown and private land by helping local governments and First Nations lower wildfire risks. The Okanagan Nation Alliance says a planned burn near Keremeos this month will restore forest and grassland health while also reducing wildfire risks. The burn will take place on Crater Mountain, which is due west of Keremeos, and will target 192 hectares. The Okanagan Nation Alliance (ONA) says the burn is part of a multi-year land management plan that will target a total of 680 hectares along the eastern slopes of the mountain. According to the ONA, the planned burns will protect nearby Lower Similkameen Indian Band (LSIB) members and the community of Keremeos from potential wildfires moving up from the south. “After the devastating wildfires that we experienced in 2018, it is vital that we implement these practices to enhance wildlife habitat and adapt to the effects of climate change,” said Chief Keith Crow of the LSIB. Don’t be surprised if you’re hearing more about how to deal with wildfire this season. In the wake of two of the worst wildfire seasons on record, the provincial government is stepping up with more fire prevention strategies, programs and funding to help keep British Columbians and their communities safe this summer. “We’ve taken a hard look at additional steps we can take to not only prevent wildfires, but also enhance our response on the ground during wildfire season,” said Doug Donaldson, Minister of Forests, Lands, Natural Resource Operations and Rural Development. “Our base budget for wildfire spending has increased by 58%, and we’re accelerating prevention and prevention awareness programs.” As part of Budget 2019, wildfire management funding has increased by 58% to $101 million annually. Four researchers, in a study funded by the U.S. Forest Service, evaluated data collected in 25 previous studies to compare exposure to particulate matter (PM2.5) created by prescribed fires and wildfires. The authors were Kathleen Navarro, Don Schweizer, John Balmes, and Ricardo Cisneros. Titled, A Review of Community Smoke Exposure from Wildfire Compared to Prescribed Fire in the United States, it is published under Open Access guidelines. This story contains excerpts from the study — the abstract and conclusions. And, information about a March 21 webinar featuring Ms. Navarro about the health effects of vegetation smoke. 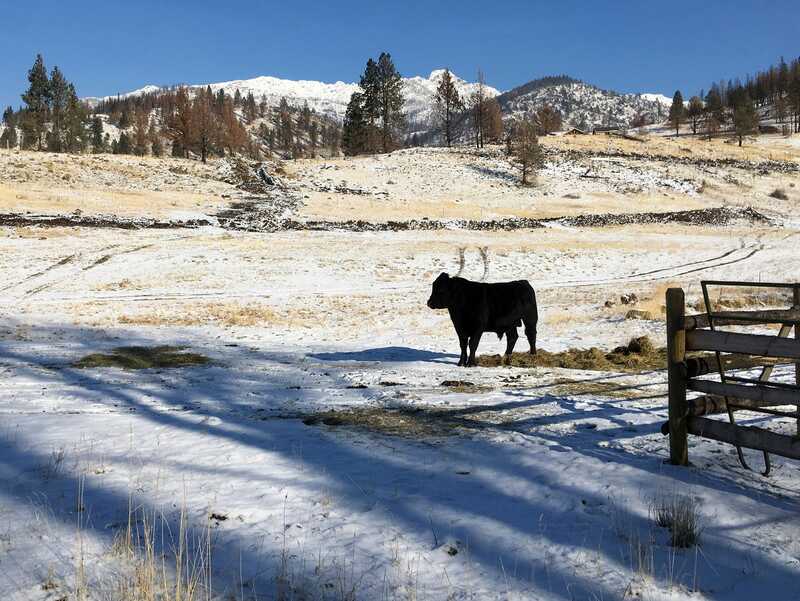 LEWISTON, Idaho — The U.S. Forest Service has rejected the recently completed management plans for three national forests in the Pacific Northwest, restarting the 15-year process to revise the plans. The plans for the Malheur, Umatilla and Wallowa-Whitman national forests were issued last summer, promising to support more than 2,800 jobs and provide about $133 million in annual income, the Lewiston Tribune reported Wednesday. The plans guide management of the forests that cover more than 7,800 square miles in the Blue Mountains of southeastern Washington state and northeastern Oregon. Objections to the plans were filed by more than 300 organizations and individuals, including representatives from timber and livestock industries, environmental groups, state wildlife management agencies, and the Nez Perce and Umatilla tribes. MONTANA — Four environmental groups harvested a favorable ruling last week when the U.S. Court of Appeals for the Ninth Circuit granted an emergency injunction that temporarily halts a Swan Valley logging project. The organizations had asked the appeals court to intervene after the Flathead National Forest allowed work to start on the Glacier Loon Fuels Reduction and Forest Health Project in the vicinity of the north end of Lindbergh Lake. The injunction secured last week stops work until the appeals court hears an earlier appeal of the Glacier Loon proposal filed by the Friends of the Wild Swan, Swan View Coalition, Native Ecosystems Council and the Alliance for the Wild Rockies. BOZEMAN, Mont. 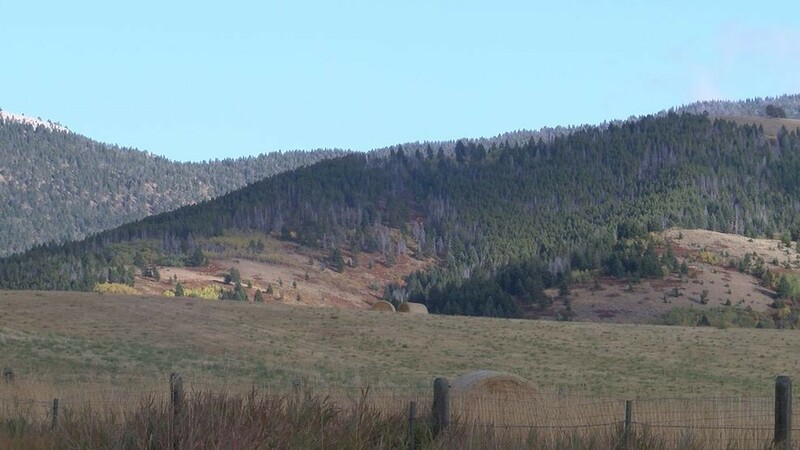 — A timber company has filed a protest over a successful logging deferral bid by a group that opposes a southern Montana logging project. The Bozeman Daily Chronicle reports that RY Timber contends that the Montana Department of Natural Resources and Conservation should have considered the value of loggers managing vegetation and building new roads in the Limestone West Timber Sale auction. RY Timber lost the auction earlier this month to Save Our Gallatin Front, a group of nearby residents who secured a 25-year logging deferral for the state land south of Bozeman where the sale was planned. Thursday is day to recognize how much timberland means to our area. Forests are connected to our day-to-day routine in more ways than we could possibly imagine. Every time you drink a glass of water, breathe in fresh air, write in a notebook or even tap on your cell phone screen, you are directly benefiting from Georgia’s working forests. On March 21, the United Nations International Day of Forests provides us with the opportunity to recognize the benefits of our state’s working forests and what they mean to our survival, comfort and progress. Georgia has been blessed with 22 million acres of privately-owned, working forests that cover roughly two-thirds of the state’s total land area, according to the USDA Forest Service. Those forests are not here by mistake, however. For generations, private forest landowners have invested in managing healthy forests that provide numerous economic, environmental and social benefits to our communities and our state. Forests are important – most people would agree. But if we had to explain exactly why, many people would be a little hazy. They would mostly likely mention paper and that trees clean our air, but would know little about many of the essential benefits of forests. …Time is running out for the world’s forests, whose total area is shrinking by the day. By halting deforestation, managing forests sustainably, restoring degraded forests and increasing the global forest area, potentially damaging consequences for the planet and its people can be avoided. But in order to achieve this, we first need to raise awareness. …This is why this year’s theme for the International Day of Forests is dedicated to forests and education. We need a cultural shift towards greater forest literacy and we need to invest in forest education. While Canadians and our neighbours to the south don’t have a great track record when it comes to the annual use of hydro carbons on a per-capita basis, we can point out that our vast forests were helping as a carbon sink for the stabilizing of greenhouse gases. A recent study casts some doubts on this conclusion, at least when our forests are partitioned into two groups, which are the managed forests of the south and the lesser productive unmanaged forests of the north. According to Part 2 of Canada’s 2018 National Inventory Report 1990–2016, when you add up both the absorption and emission, Canada’s managed forests haven’t been a net carbon sink since 2001. Due largely to forest fires and insect infestations, the trees have actually added to our country’s greenhouse gas emissions for each of the past 15 years on record. The introduction of The Green New Deal resolution and the appointment of a House Select Committee on the Climate Crisis, has propelled climate change back into the national policy debate. That’s why today, on the International Day of Forests, hundreds of citizens across the nation are urging members of Congress to stand up and protect America’s forests and to hold the US forest industry accountable for its contribution to climate change. …The rate and scale of logging in the Southeastern U.S. alone is approximately four times that of South American rainforests. Protecting forests within this context is a challenge. …We don’t have time now for these kinds of industry delay tactics or green smoke screens. The large-scale industrial logging of forests in the U.S. poses one of the largest threats to climate progress. 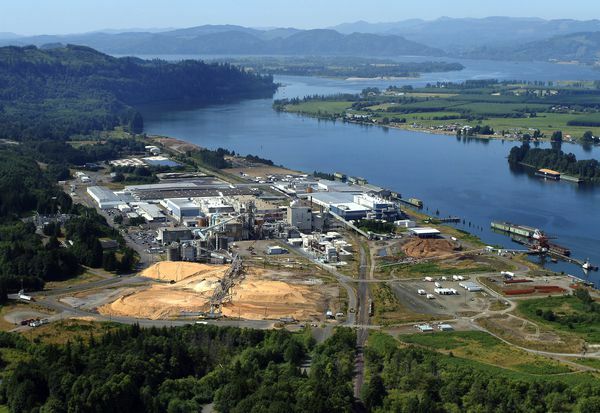 OREGON — The pulp and paper industry is a major driver of Oregon’s economy – particularly in the rural communities. …As Oregon develops a framework for a state-based cap and trade program, we see two important priorities that Oregon legislators must consider. The first is ensuring that their actions won’t reverse the progress that we are making in Oregon and subsequently lead to higher global CO2 emissions from pulp and paper production. The second is protecting good-paying, family-wage jobs in rural communities across the state. The current version of House Bill 2020 does neither. …The fatal flaw in the proposed legislation is that it puts Oregon at a competitive disadvantage against mills with much higher carbon emissions and incentivizes mill owners to move production elsewhere. Neil Pederson’s introduction to tree rings came from a “sweet and kindly” college instructor, who nevertheless was “one of the most boring professors I’d ever experienced,” Pederson said. …Ultimately, “I fell in love with the beauty and wealth of information found in tree rings,” he said. …Today, he and his colleagues are using the data inherent in these ancient sources of nature to better understand the impact of climate change and carbon dynamics on forests. …Pederson, now a senior ecologist with Harvard University’s Harvard Forest …analyzed tree rings to determine if the information they gleaned matched the accuracy of high-tech equipment. They wanted to know whether the rings could serve as a proxy for learning more about carbon storage and climate change in forests over the long-term, and found that they could. Forestry giant J.D. Irving Ltd. says it takes full responsibility for the death of 52-year-old William Gregg, a veteran sawmill worker who suffered a fatal accident while working overtime on Feb. 29, 2016. The company entered a guilty plea Tuesday in Saint John provincial court to violating the Occupational Health and Safety Act. …The company admitted in court that it failed to ensure that Gregg complied with the legislative requirements by locking out and ensuring the chipper machine was in a zero energy state when he attempted to dislodge the logjam. …The fact that the company pleaded guilty was accepted by the court as a mitigating circumstance.